What a coincidence that during the late 1980s on to the 1990s black public intellectuals enjoyed an unusually high level of publicity at the exact moment that the world of rap music was experiencing a Golden Age. Not surprisingly, there was some overlap. In fact, in some cases, the popularity and controversies related to rap music provided opportunities for scholars to participate in discussions and expand their audiences beyond the academy; at the same time, the intellectual authority and level of interpretive expertise associated with academics allowed them to lend scholarly credibility to rap. In 1990, 2 Live Crew was on trial for their explicit lyrics, and Henry Louis Gates, Jr., was brought on to testify as an expert defense witness. Gates gained considerable attention and some derision for his explanations of how, though problematic, the rap group's lyrics were in line with a long tradition of African American verbal practices. "There is no point in trying to whitewash a multifarious cultural heritage, casting it as a monolith of virtue," wrote Gates in the Times. "Like all cultures, black culture consists not only of the best that has been thought and said, but the worst as well." 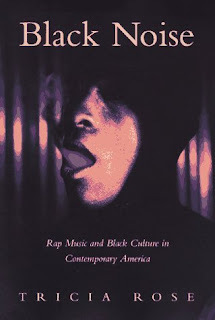 Gates's participation in the 2 Live Crew debate was just an early intervention; a more substantial relationship between scholars and rap occurred in the mid 1990s with the release of Tricia Rose's Black Noise: Rap Music and Black Culture in Contemporary America (1994). Few individual books on rap have enjoyed such wide appeal. Perhaps more so than a single book, Michael Eric Dyson became increasingly popular as a public speaker on college campuses and at major gatherings because of his knowledge of rap and rappers and his ability to quote and incorporate lyrics into the context of his charismatic academic talks. Rose and Dyson served as standard bearers for hip hop scholars as black public intellectuals and as black public intellectuals as hip hop scholars. In recent years, cultural commentators such as Touré and Ta-Nehisi Coates, to name two examples, have become increasingly well known as types of public intellectuals. Interestingly, they began their careers as journalists often writing about hip hop. These days, hip hop conferences and classes featuring rap music are staples on college campuses across the country. And when African American scholars, especially those scholars who assume the roles of black public intellectuals, are invited to speak at universities and on television, they are often inclined to at least reference hip hop. • Were the 1990s a Golden Age for (some) Black Public Intellectuals?